One of the most common issues curvy women have with sewing patterns is finding the sleeves are too tight, so today I’m bringing you an easy tutorial that will help you adjust any one-piece sleeve – and any Cashmerette Pattern with sleeves. 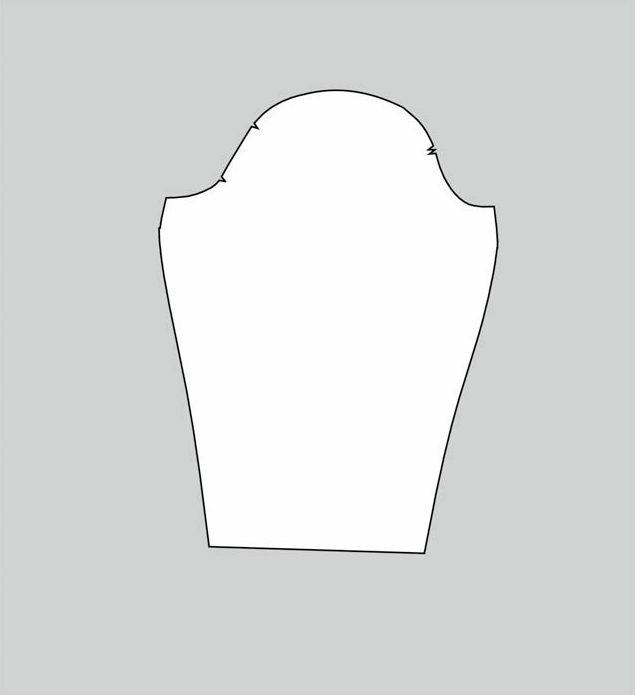 Before you do this adjustment, check out if there’s already an adjusted sleeve piece available! 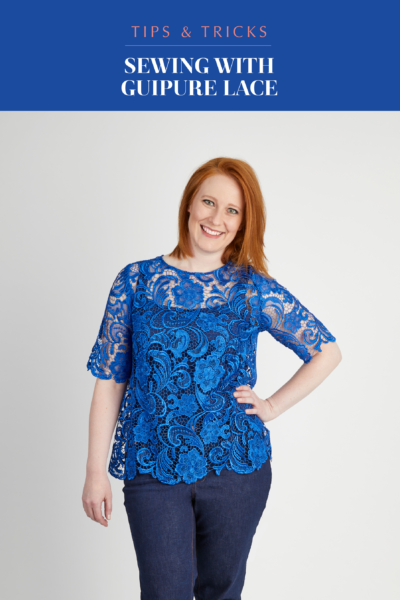 At Cashmerette, we have full bicep sleeves available for the Montrose Top Pattern, and the Harrison Shirt Pattern. Amount to add = arm circumference – pattern circumference + desired ease. 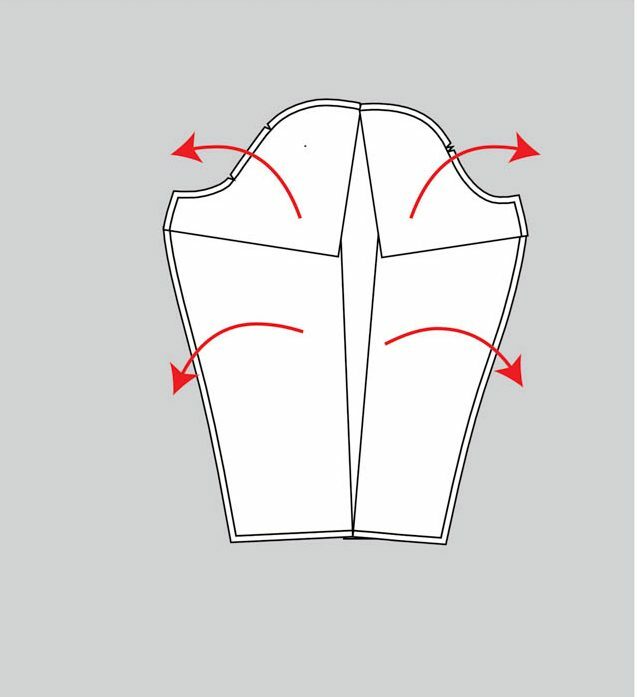 Draw a line from the top notch of the sleeve cap down to the sleeve hem, parallel with the grainline. Then, draw a line that crosses this one at a 90 degree angle, across the widest part of the sleeve. Cut the first line from the hem all the way up, stopping at the sleeve cap seam allowance (leaving a little hinge). Cut the second line, starting at the middle and working out, again stopping at the seam allowance on each side. 3. Pin (or tape) the bottom of the sleeve piece, either side of the cut. 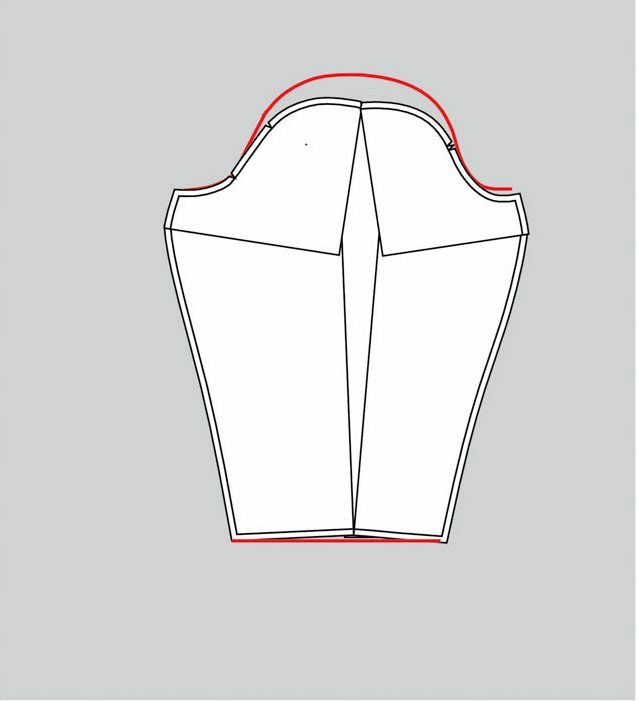 Now, spread each of the four pieces outwards, creating a space down the middle of the sleeve. 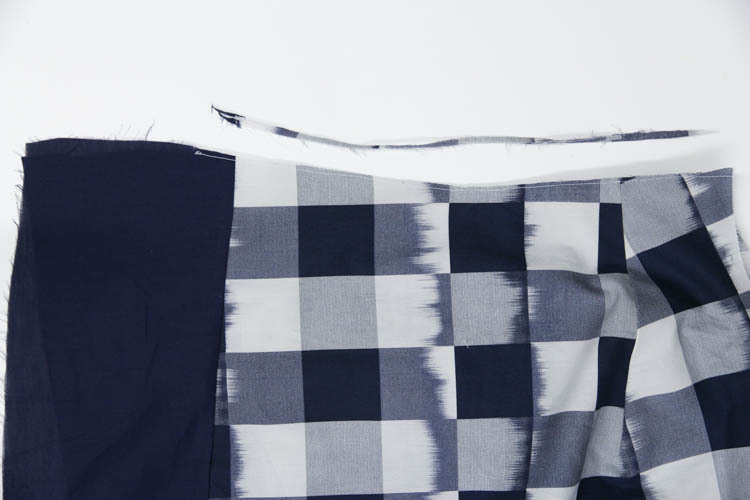 The top pieces will overlap the bottom pieces a bit – that’s ok! Continue spreading until the widest part of the gap at the bicep equals the amount of extra space you need. 4. Place a piece of paper behind the gap you created, and tape it down to the pattern. 5. Smooth out the sleeve gap so it is a nice curve again, and even up the sleeve hem. 6. 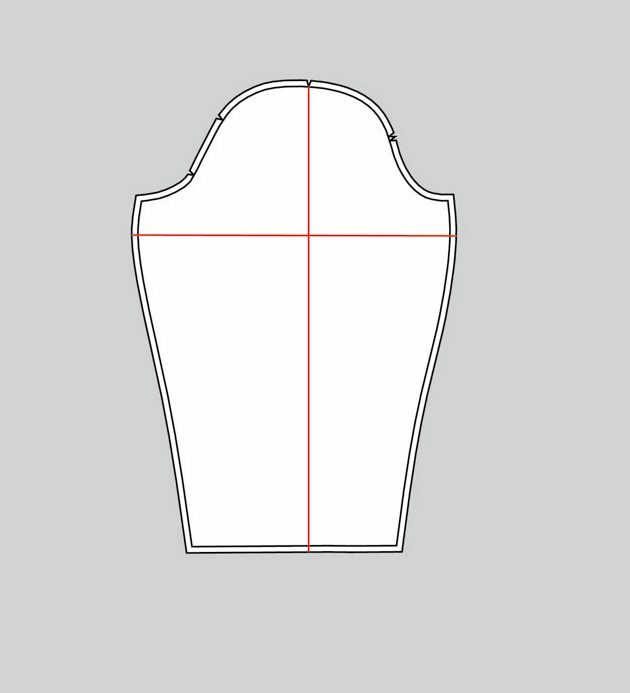 Place a piece of tracing paper over the pattern piece, and trace off your final adjusted piece. 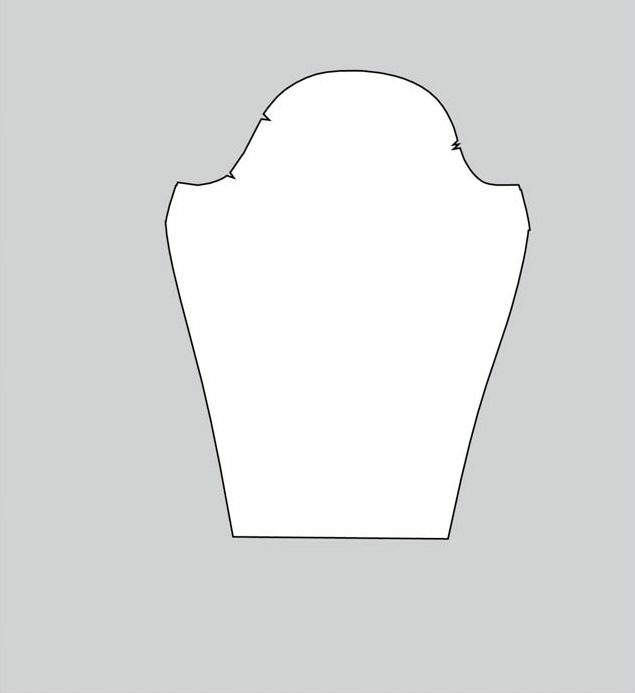 Trace the original pattern sleeve cap onto a piece of paper. 2. Follow the steps above, spreading the pieces out to add the extra width you need. 3. 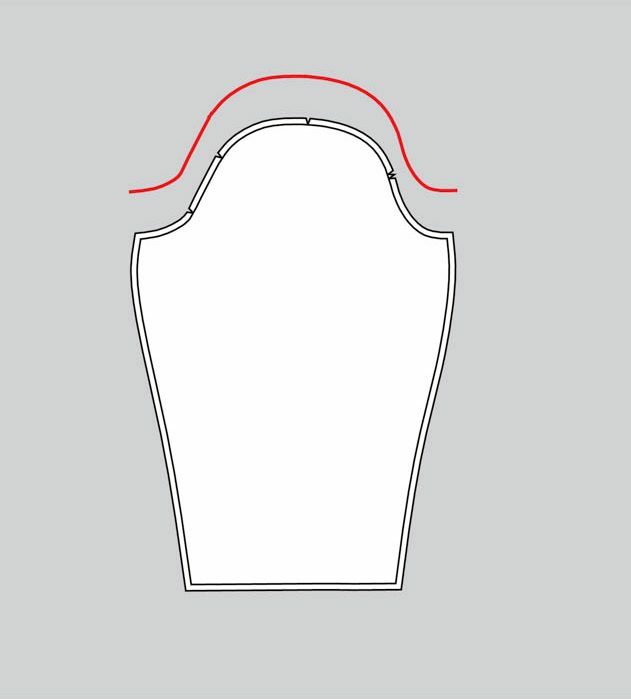 Place your adjusted sleeve on top of the traced sleeve cap, and even up the sleeve hem. 4. Trace the new pattern piece. 5. 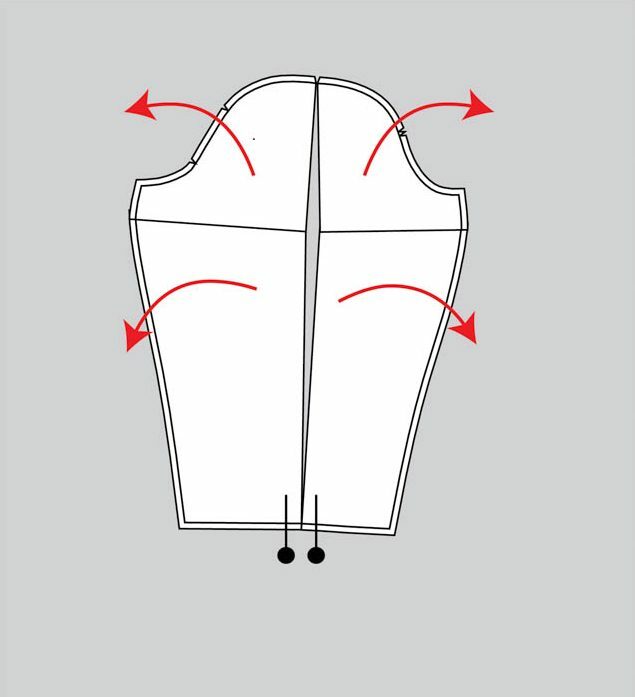 As you added some length to the sleeve cap, you’ll need to adjust your armscye (armhole) accordingly – the two easiest ways to do this are to deepen the armhole and/or add to the underarm seam. So that’s how to make sleeves larger – let me know if you have any questions! Looking for other tutorials? Check out our full tutorials page. Thank you!! Any tips on enlarging 2 piece sleeves would be greatly appreciated! I love the reminder about tracing the original sleeve cap. I’ve palmed my face many times forgetting that. I like this tutorial a lot. It very clearly shows that I shouldn’t mess around with the sleevehead seam (as in: messing with the shape of the sleevehead). I reckon I tried to do too much to it, thinking that I needed to when in fact… I don’t. Oh gosh. Well. I am very interested in hearing how people find the Option 1 approach – does the decrease in sleevehead height matter? Does it squash the top of the sleeve too much? I myself am definitely going to try Option 2, it sounds like this would solve some of my problems. 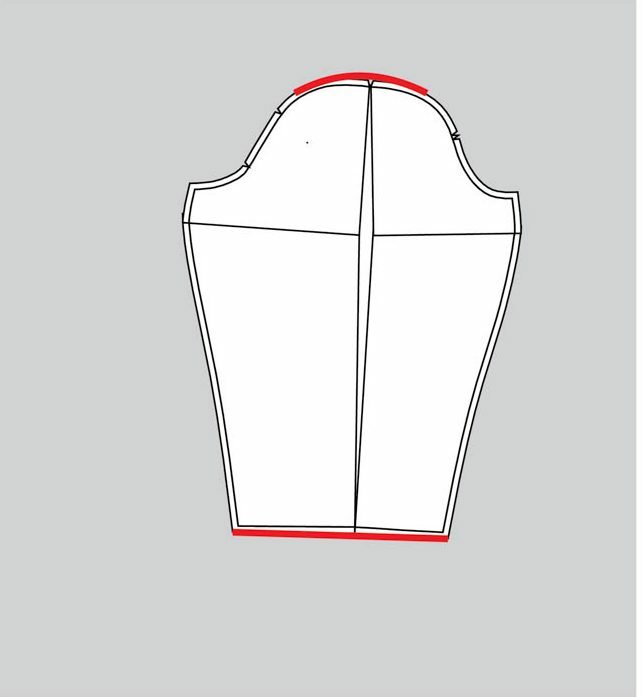 I understand that it may need deepeing the armhole (because the sleevehead seam is now longer, so you need a longer seamline around the armhole that you can sew this into) but I don’t know what you mean by “adding to the underarm seam”. I thought this would make the armhole smaller, but maybe you don’t mean raising the underarm seam (assuming is never a good idea!) but inserting a wedge at the top of that seam? Ie adding more fabric into what is the seam allowance of a slimmer sleeve, more at the top and tapering back to the stitching line. Pattern making is such a fascinating and absorbing subject! 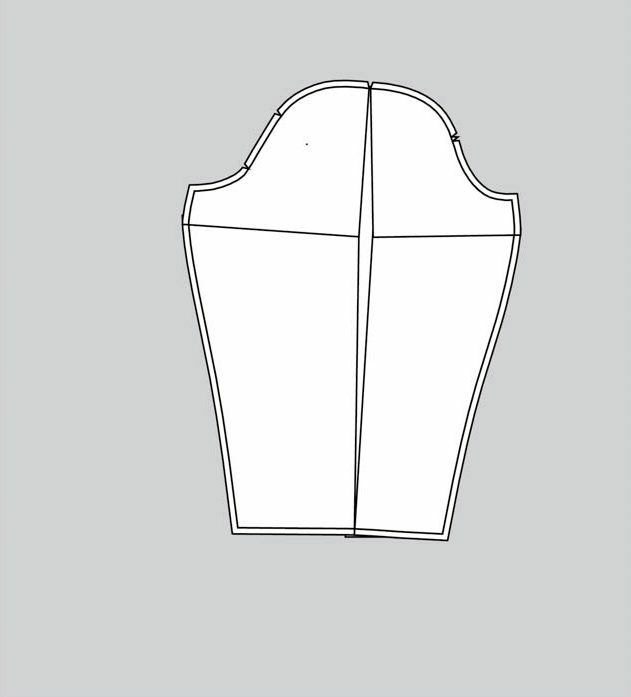 Hi Giselle – adding to the underarm seam means extending it out, like a wedge, which makes the armhole larger. Thanks so much for replying! I really appreciate it. I haven’t been able to get my sleeves right just yet, but I’m living in hope! This tutorial will help a lot. Thank you again. So, there are two ways. 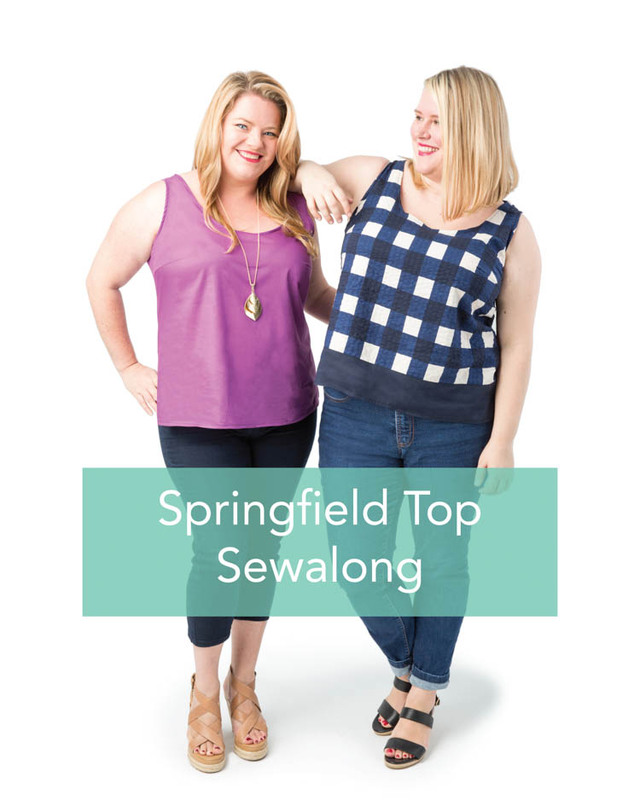 One way is to make the armhole deeper – that’s what happens with a lot of patterns as they get bigger, so it naturally would happen if you were making a larger size. You can also add a little to the width – it’s only right under the armpit, so it wouldn’t make the bust significantly different. This is just terrific. My curvy daughter struggles to find RTW with sleeves that hang gracefully. Playing with the armscye helps a lot of figures–those of us with broad shoulders and thin arms can raise the armscye seam at the underarm, thereby omitting that horrible “bust pull”. So it makes sense that there is a way to correct for a fuller arm without messing with the bust. I’ve passed this diagram to a friend who is a real fitting maven, just in case she didn’t already practice it! Hi Michelle – in your case I’d really recommend making a sloper (a knit one and a woven one). Basically do all the alterations to make a sleeve that fits you – and then use that pattern to alter all your other sleeves in the future. It will likely be a lot easier!